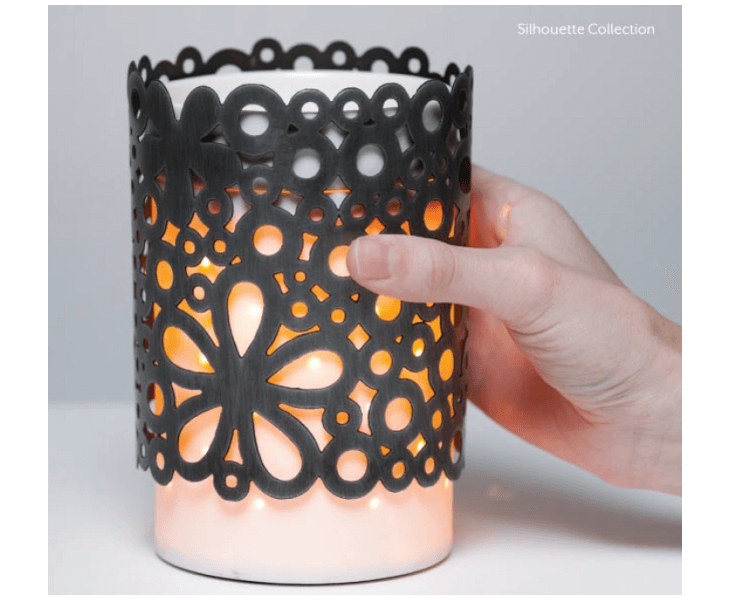 Scentsy Silhouette Collection includes a warmer wrap and a simple, porcelain Full-Size Scentsy Warmer that allows light to shine through, highlighting the beautiful patters created by the metal wrap. 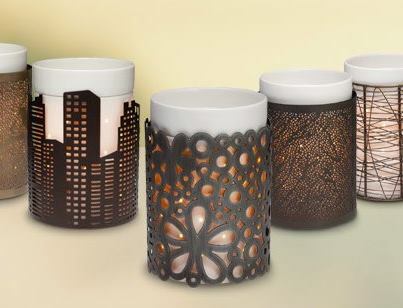 You can start with the glowing core Scentsy Warmer and selecting the wrap. 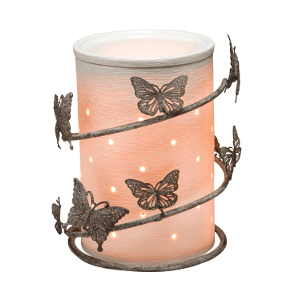 Purchase additional wraps can be purchased changed out seasonally or to change with the decor of your home or office. 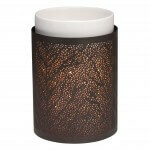 One Silhouette wrap included with the purchase of warmer. 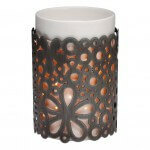 Wraps designed to fit over Silhouette Collection warmer only. 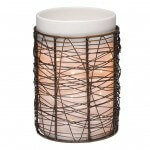 Individual wraps available separately. 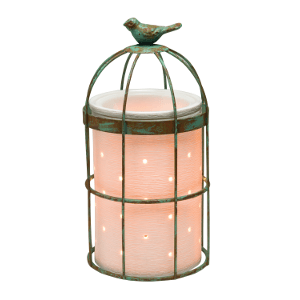 Warmer may not be purchased separately.